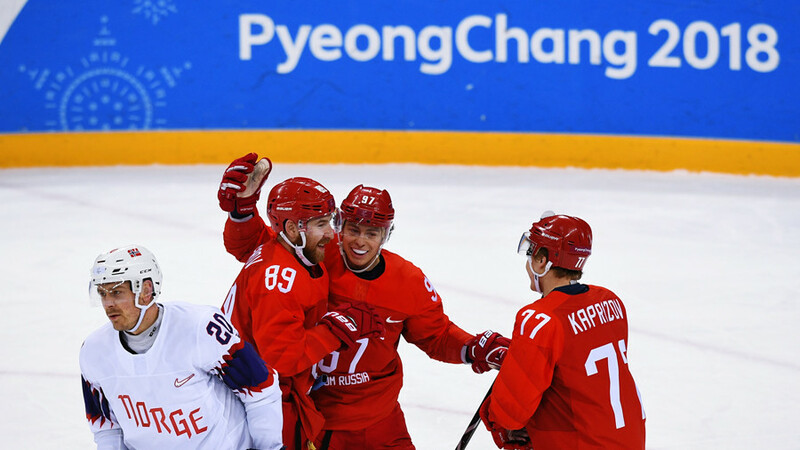 For the first time since 1992, Russian players have claimed an Olympic victory in hockey, thanks to an overtime goal by 20-year-old forward Kirill Kaprizov. The opening goal of the game came near the end of the first period, when two-time Stanley Cup champion defenseman Vyacheslav Voynov’s slapshot gave the OAR team the lead. Germany replied in the second period. Forward Felix Schutz scored on an excellent pass from Brooks Macek 10 minutes in. The third period saw both teams playing with caution until the last 10 minutes, during which a total of four goals were scored. The game became a thriller when just 10 seconds after a goal by Russian forward Nikita Gusev, Germany answered with a game-tying goal yet again – this time by Dominik Kahun – making the score 2-2. With just three minutes remaining in the game, Germany took a 3-2 lead. Hopes for a Russian comeback were dimmed when just five seconds after the go-ahead goal, former New Jersey Devils player Sergey Kalinin received a two-minute penalty for tripping, leaving the OAR team shorthanded with a one-goal deficit with just two minutes left in the game. OAR head coach Oleg Znarok pulled goaltender Vasily Koshechkin with one minute and 23 second left in third period to make it five-on-five on the ice and retain a faint glimmer of hope. It took his men just 27 seconds to score the game-tying goal. Gusev scored his second goal of the night with an amazing backhand shot, and perhaps the most important goal for his team in the entire tournament, sending the game into overtime. Overtime, which is played as a full 20-minute period in the finals, lasted nine minutes and 40 seconds. After German forward Patrick Reimer received a two-minute penalty for high sticking, OAR capitalized on the one-man advantage within 29 seconds. Assisted by Voynov and Gusev, Minnesota Wild prospect Kaprizov scored the winning goal, undoubtedly the most important one thus far in the career of the young player from Novokuznetsk. Twenty-six years ago, following the breakup of the Soviet Union, Russian hockey players playing for the Unified Team beat Canada 3-1 in the gold medal game to win the Olympic title for a team that did not have a national anthem or flag. The Olympic flag, with its five interlocked rings, was raised in honor of the athletes who took first place in the 1992 Albertville Winter Olympics. Since then, hockey gold has been elusive for a string of highly-touted Russian squads. The 1998 team, led by ‘The Russian Rocket’ Pavel Bure, had to settle for silver, losing to the Czech Republic in the finals. At the 2002 Salt Lake Games, the team coached by Olympic and Stanley Cup champion Vyacheslav Fetisov took home bronze. 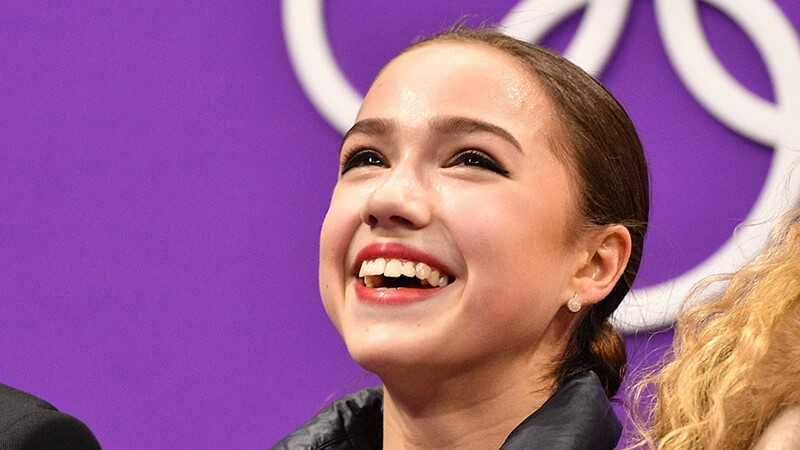 By a twist of fate, a Russian squad again competing under the Olympic flag has finally ended the slump. Russia’s national emblems were prohibited from being displayed by the International Olympic Committee (IOC), which disqualified Russia from the 2018 Winter Olympics for alleged doping violations. After the NHL refused to pause its regular season for this year’s Olympics, the Kontinental Hockey League (KHL) became a springboard to the Winter Games, with Europe-based players receiving a chance to shine. 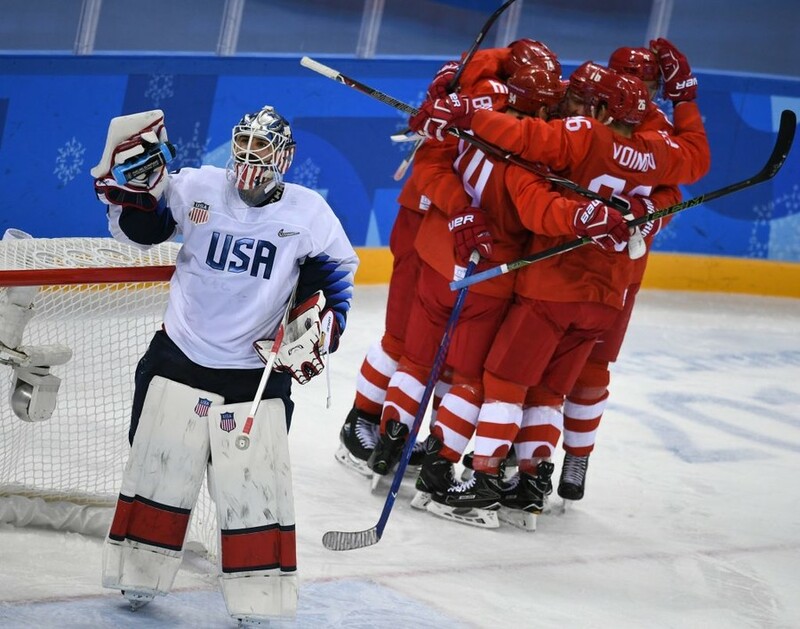 The OAR team, with former NHL stars like Ilya Kovalchuk and Pavel Datsyuk on their roster, won all but one game in PyeongChang, stumbling in the opening clash against Slovakia which they unexpectedly lost 3-2. The Russian players redeemed themselves for that frustrating defeat by beating Slovenia 8-2 and USA 4-0 in the two remaining group stage games. In the quarterfinals, the OAR squad, fully comprised of KHL players, gave Norway no chance, defeating them by a score of 6-1. In the semifinals, the squad, led by team captain Pavel Datsyuk, shut out the Czech Republic 3-0. The same day, the German team shocked the world by defeating nine-time Olympic champions Canada 4-3 in the other semifinal game. Alexei Zhamnov, part of the 1992 Albertville Olympics championship team, was among the coaches who led the Olympic Athletes from Russia to the long-awaited victory in South Korea.